Real estate syndication is an effective way for investors to combine their financial and intellectual resources to invest in properties. Real estate syndication is a fairly simple transaction between the Sponsor (Manager) and a group of investors. 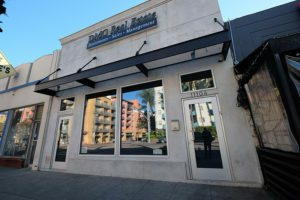 As the manager and operator of the deal, the Sponsor, DMC Real Estate Inc., invests the sweat equity, including scouting for the property, raising funds and acquiring and managing the investment property’s day-to-day operations, while the investors provide most or all of the financial equity. Syndications are simple to establish and come with built-in protections for all parties. We structure our deals as a Limited Liability Company with the Sponsor participating as the General Partner or Manager and the investors participating as limited partners or passive members. The rights of the Manager and Members, including rights to distributions, voting rights, and the Sponsor’s rights to fees for acquiring, managing and selling the investment, are set forth in the LLC Operating Agreement. Rental income from a syndicated property is distributed to investors on a monthly, quarterly or annual basis according to preset terms. A property’s value typically appreciates over time, so investors can net significantly greater returns when the property is sold. Over 47,000 investors participated in commercial real estate syndications last year. The average size of a real estate offering was $2.5 million. Passive investors contributed 80-100% of the initial capital investment. Sponsors contributed 0-20% of the initial capital investment. Investors received a preferred return ranging from 4-24%. Sponsors netted an acquisition and disposition fee of 1-3%. Sponsors netted a property management fee between 2-3%. Hassle–Free Investing: Passive investors with money but little time or expertise can partner with DMC Real Estate Inc. (as the Sponsor) to achieve the numerous benefits associated with real estate investing without active involvement. Limited Liability: DMC Real Estate Inc. shoulders the financial risk associated with any assumed debt financing. The only risk investors assume is the risk of their initial equity contribution and capital calls (if any). There are no personal guarantees for investors to sign. Cost Savings: There are economies of scale when investing with others. A well-funded syndicate can make a substantial down payment on a property and leverage capital to create improvements and increase returns. Diversification: Investors with limited funds can diversify among a number of different properties and asset classes. Investors Returns: Our investors are receiving generally between 7%-18%* return on investment (ROI) *(individual results may vary).